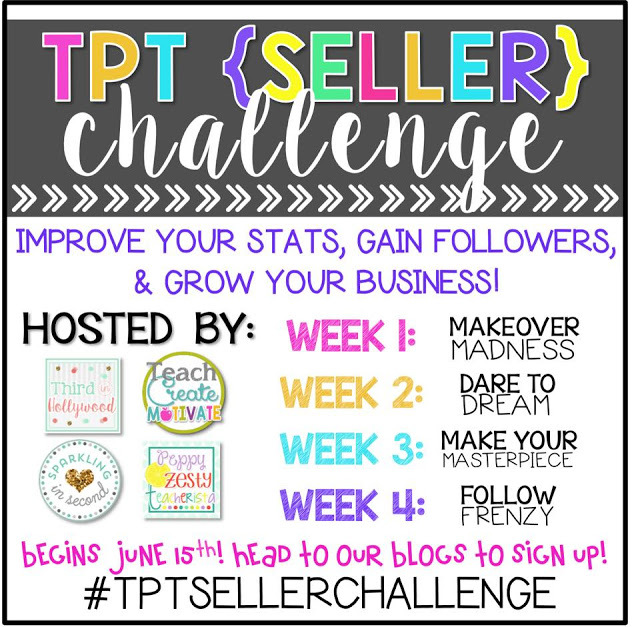 This week starts Week 1 of the #tptsellerchallenge and I am SO excited!! I have been getting so excited for Vegas and this is a great way for me to start working on my store. Making over products (specifically old, ugly product covers) is something that I've been desperately needing & wanting to do! I couldn't just choose one to to do (& honestly will probably work on a few more this week!). 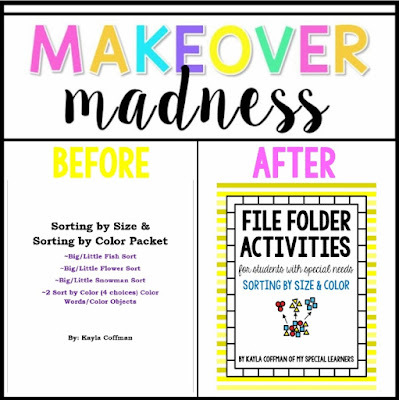 Here are some of the products that I chose to makeover their covers! This is one of my older products and MOST USED in my classroom, but my goodness how UGLY was that cover. I probably thought that looked so awesome when I made it. Yikes! 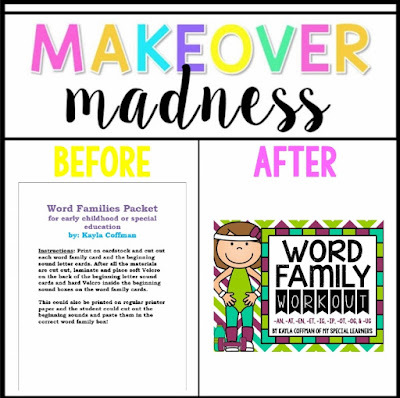 I LOVE the new cover and of course had to go buy some adorable clip art to make it stand out! OK now this one - I just laughed. My cover was DIRECTIONS on how to put it together. Now that's embarrassing. I should've fixed this one (and the next, just you wait) a LONG time ago. 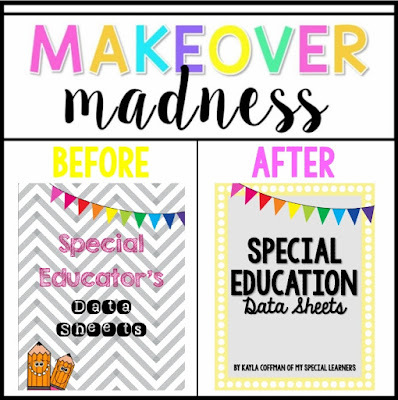 I use these as file folders in our independent work bins DAILY! Another product that I just laughed at. No question, this one needed a face lift too! I LOVE this new product cover. It's simple but so cute! Again, another product that I use almost daily in our independent work bins! I hated this cover so much. Everything about it. And I love these file folders, so it needed to be changed as well! These last two product covers I updated weren't terrible, but I didn't love them. They are my top two BEST SELLERS -- I need to love them! So so happy with how they turned out!!! The best part?! All of these products are 20% off for the next 72 hours!!! Click the pictures above to go to each product, or just go to my store HERE! 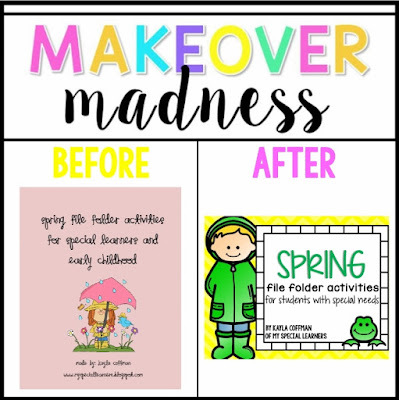 Nice redo project! Wow! 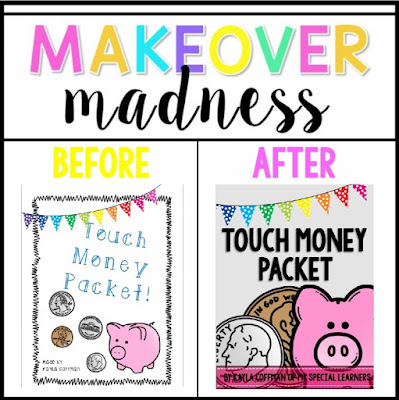 My favorite is the Touch Money Packet! Wow you are on top of it! Great job girl! I definitely love the money one! Your new money product is adorable! Like you, I updated a couple of my oldest products and was embarrassed to even look at them. Yikes! Your updates look wonderful! Oh my gosh! Your new product covers look wonderful! You did an amazing job! Kudos on being on top of your game! Wow, great job with all your updates! I love the new looks. Very eye appealing! Oh, wow, your revised versions look incredible! I am right there with you… several of my products could use some good makeovers! 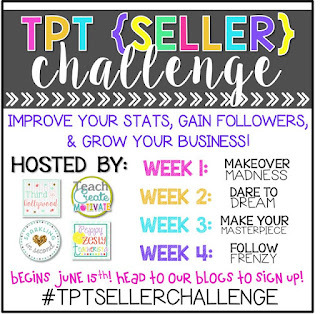 I just discovered the TPT Seller Challenge, and I'm so excited to participate (even if I am a little late!). 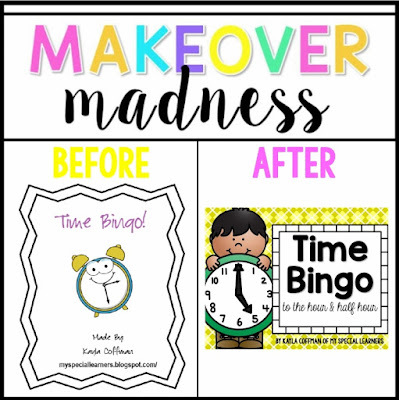 I am hoping to do several more makeovers soon! Enjoyed visiting your blog! Your updated graphics are awesome!! They really POP now!